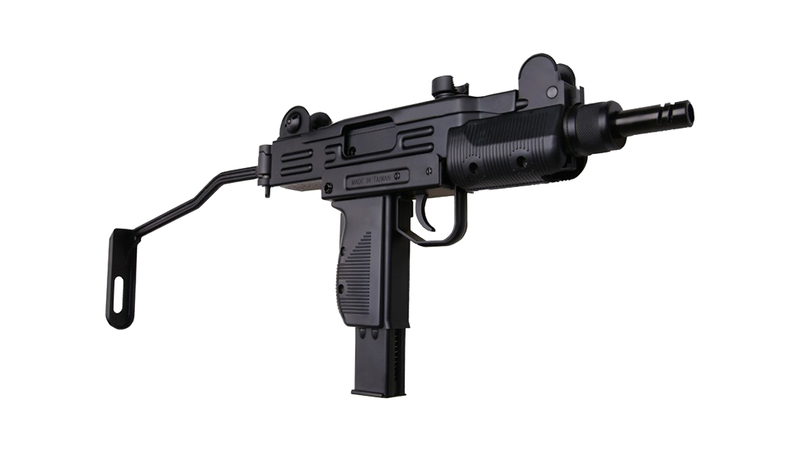 This KWC Uzi is redesigned with a new magazine and improved blowback mechanism for more stable and higher performance! 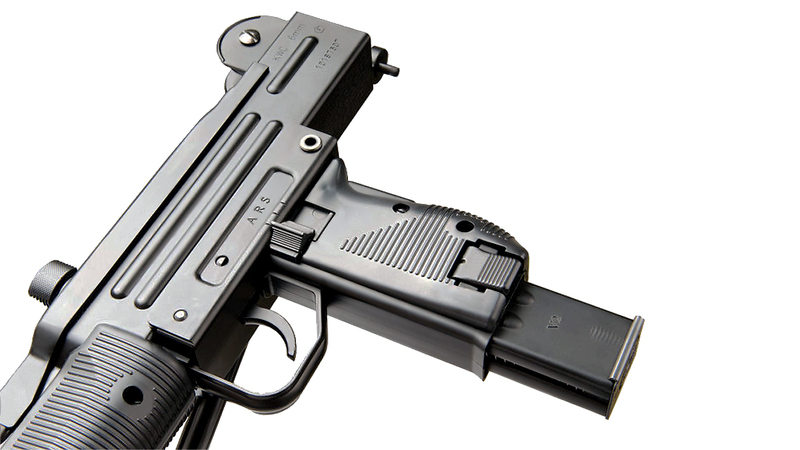 Please note that old KWC Uzi magazines are not compatible with this new version Uzi (revised and face-lifted in 2011). 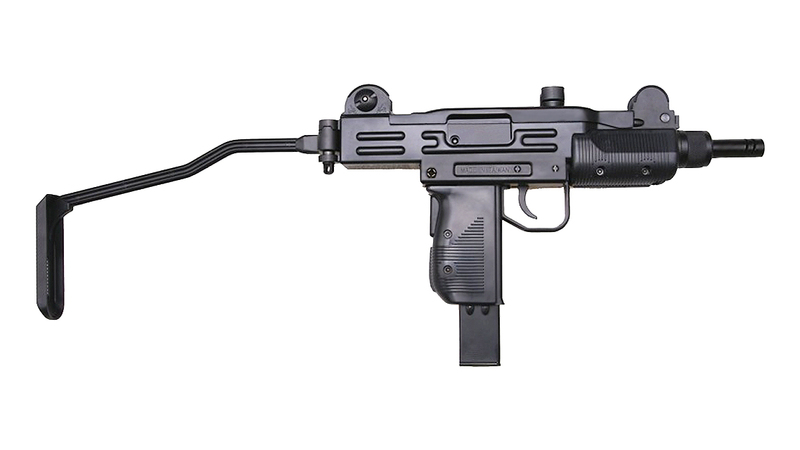 Despite common misconception, the Uzi sub-machine gun is of Israeli origin and comes in three general sizes. 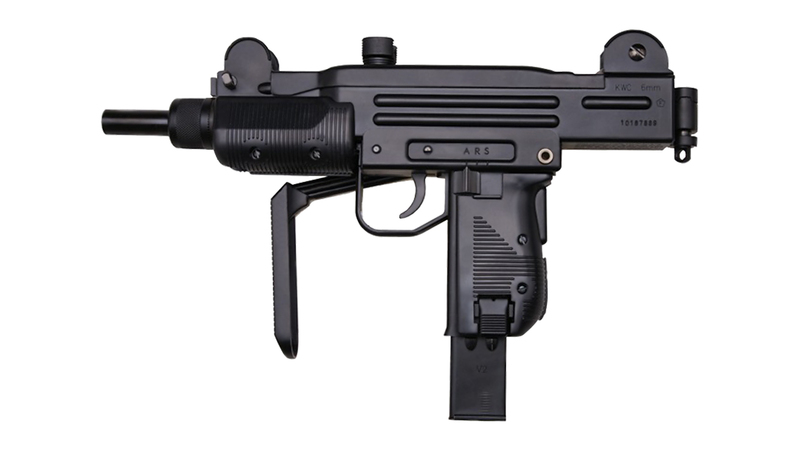 The full Uzi is actually a rather large weapon on par with an MP5, this version replicates the Uzi mini of smaller proportions. 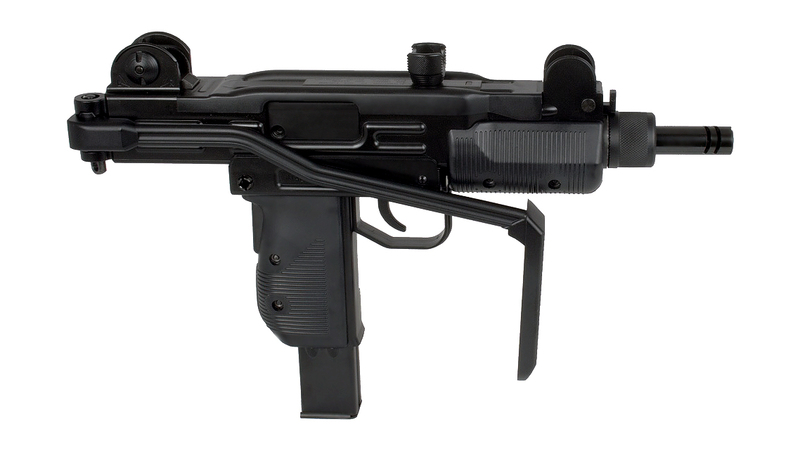 The smallest size is the Micro Uzi machine pistol. KWC brought us a CO2 blowback Uzi many years ago and it has since evaporated into the ether. KWCs design makes a triumphant return along with a few modifications. Running on CO2 capsules, it bucks like a beast. It clocks in at around 390 FPS which is a tad lower than the original. This makes it more appropriate for short range use and far more usable for those of us with imposed site power limits. 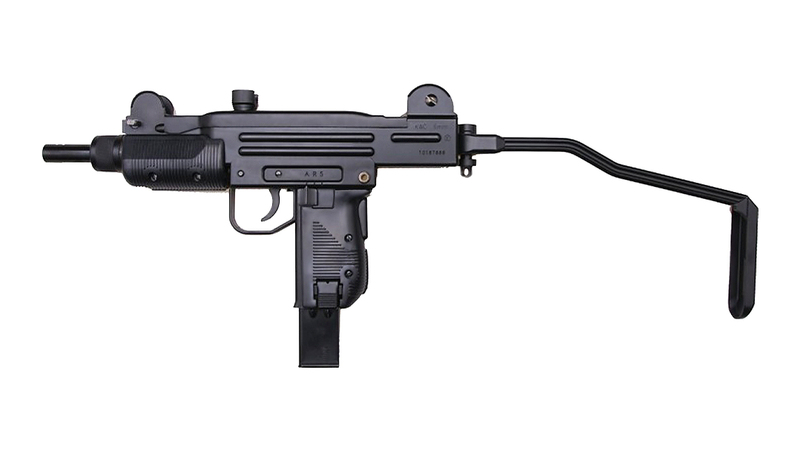 This iteration of KWCs Uzi has withstood the test of time and with continuous iterations, the gun is now stable, reliable and simply a joy to shoot. 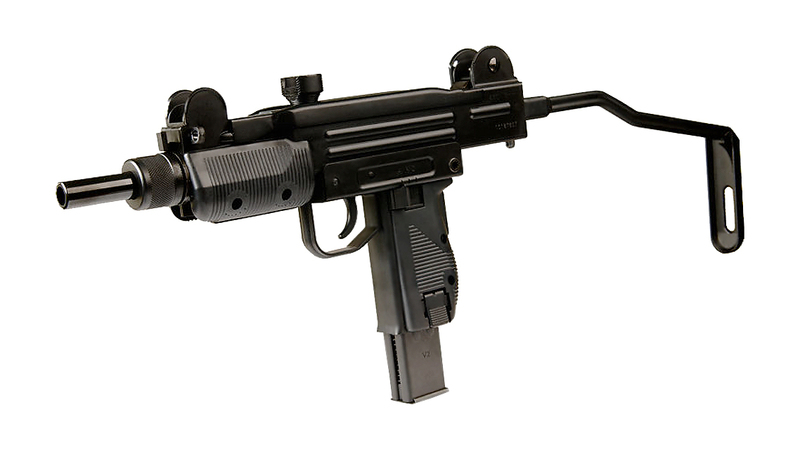 The weapon is predominately polymer with a tough plastic body with steel internal assembly which extends to the bolt top plate. 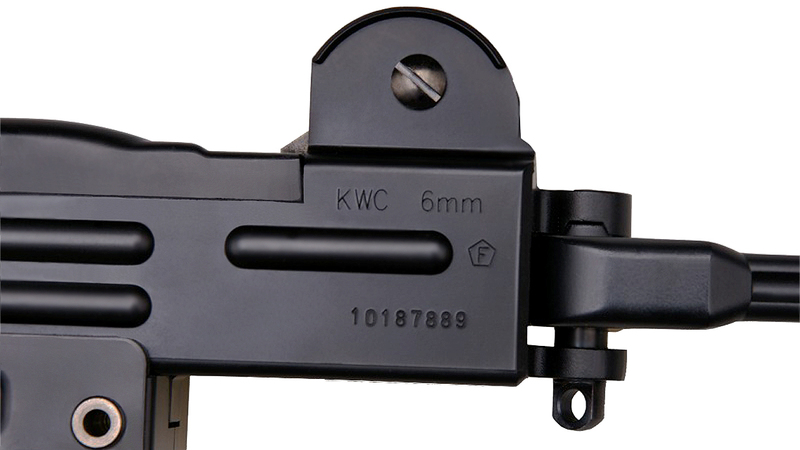 The weapon is real size and balanced, it fires from the open bolt position just like the real thing and even field strips like the real thing. 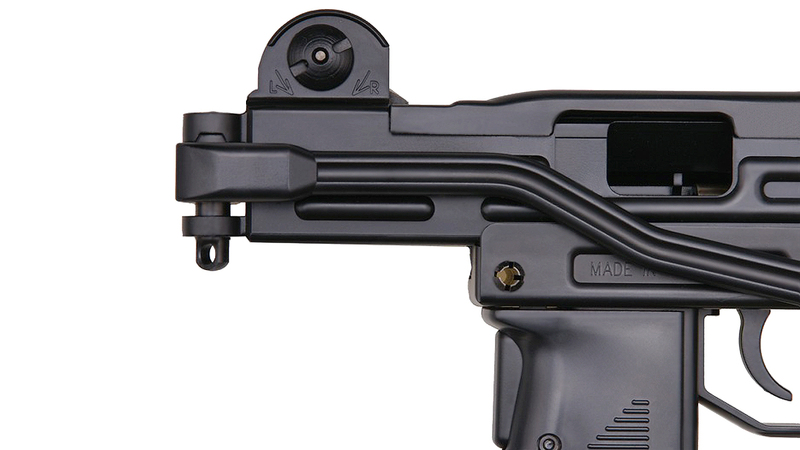 It comes in a blend of polymer and metal just like the real thing; fully functioning fire selector, grip safety and mag release all just like the real thing. 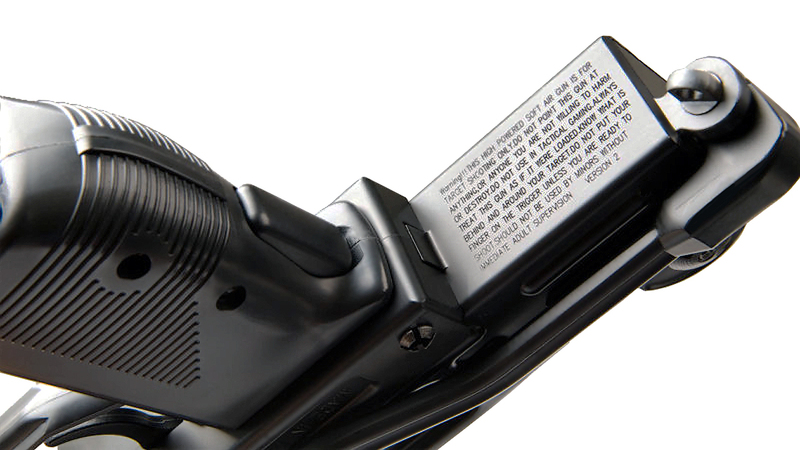 Unlike the real thing, it has hop-up adjust so you can tune those flightpaths depending on your intended range. 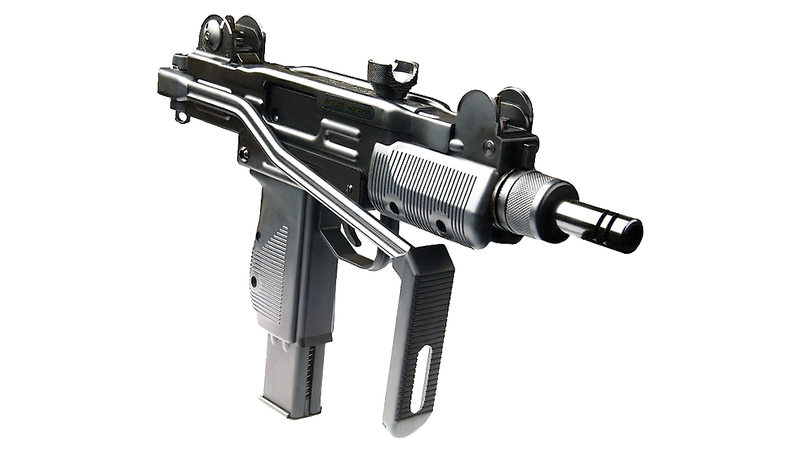 The side-folding stock fully extended bring the weapon to 60 cm / 23 inches but is easier to shoulder and control on full auto. 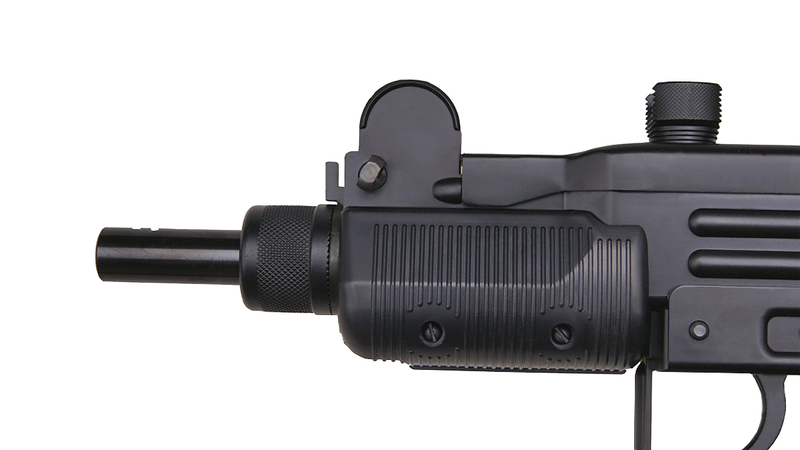 With the stock folded, it drops down to 36 cm / 14 inches and also functions as (a slightly off center) forward vertical grip which allows for easier movement. The bolt is the heaviest in the series yet, you will really feel the recoil on each shot, as well as it being accompanied by the thunderous sound of metal on metal cycling. 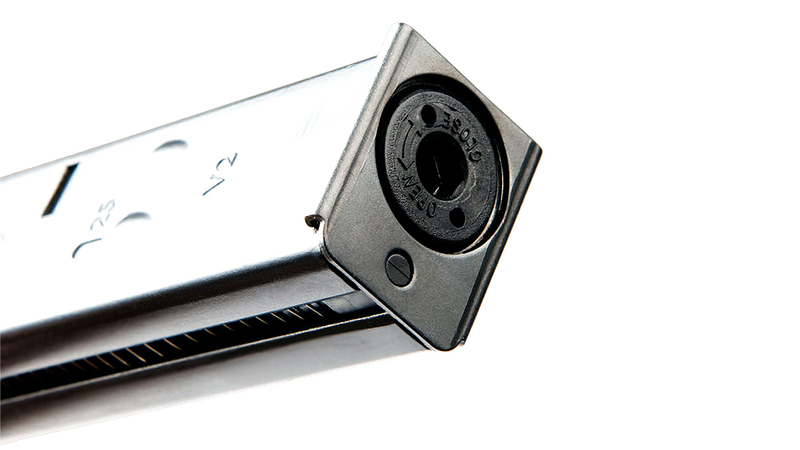 With this much power at 390fps, good even performance throughout the range of the CO2 cartridge, with good accuracy and adjustable sights and hop-up this is without a doubt one of the most powerful and accurate gas SMGs out of the box today. 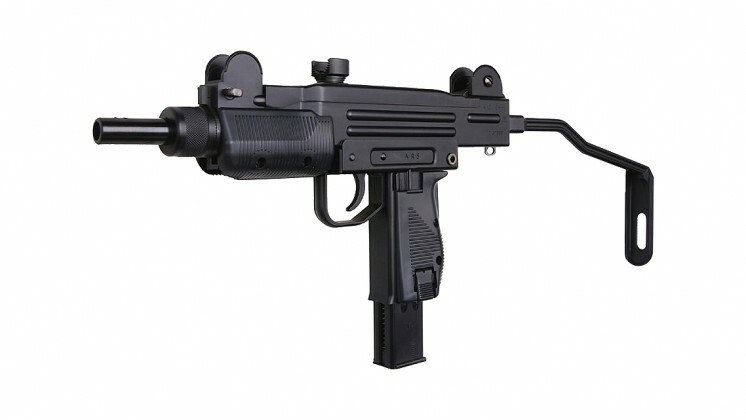 Of course it does not hurt that it also kicks like a dinosaur and is probably one of the loudest gas weapons in Airsoft today. 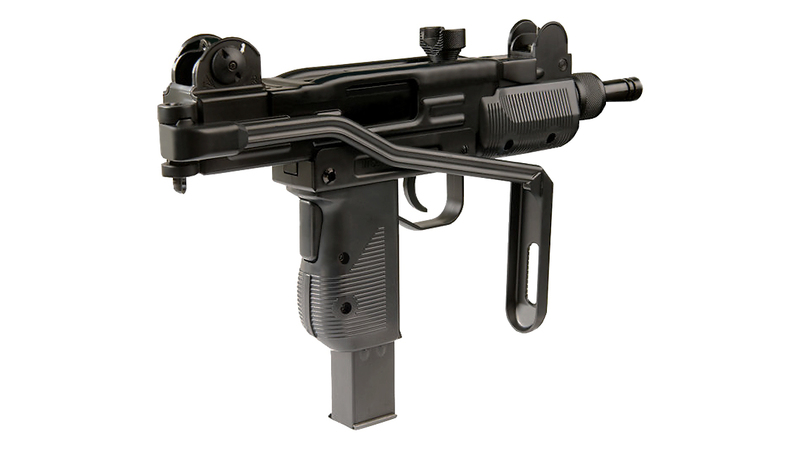 As this is the new and improved system, this model will NOT take the old KWC CO2 Uzi magazines. 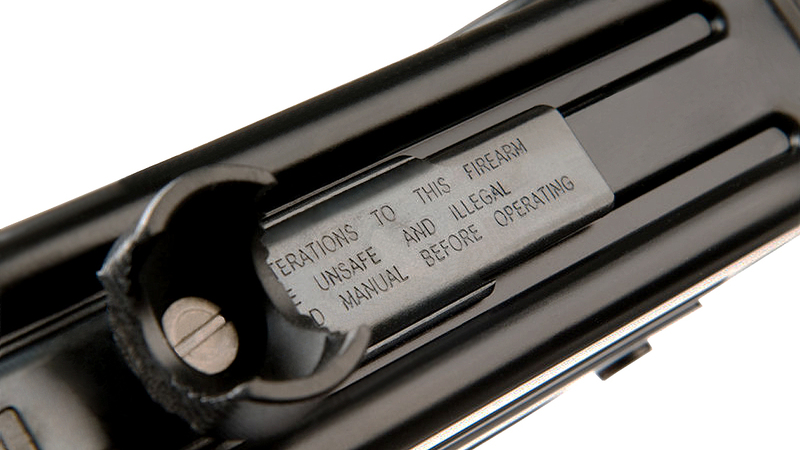 This model takes its own newer magazine also available from Redwolf Airsoft.